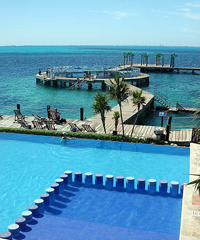 invites you to experience the most unique and memorable excursion in the Cancun Mexico. 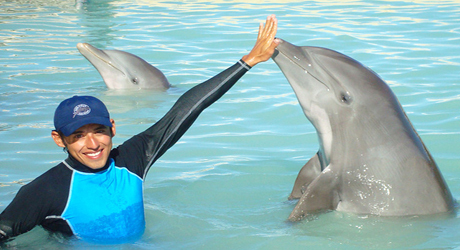 Immerse yourself in the best interactive dolphin experience in the Yucatan! 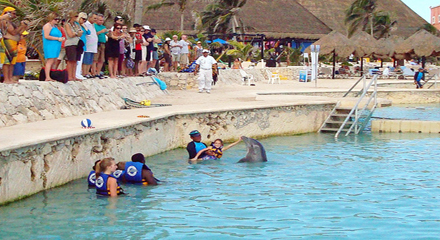 Mexico's Most Popular Dolphin Experience! 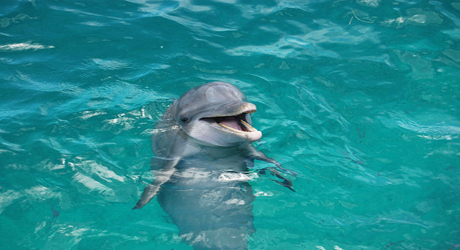 Welcome to CancunDolphins.net, the website that will bring you closer to your dreams of meeting, interacting, and swimming with dolphins, the world's most intelligent and charming animals. 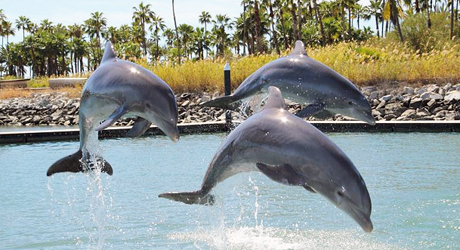 Here is your chance to see dolphins up close, and not through the barrier of an aquarium tank. 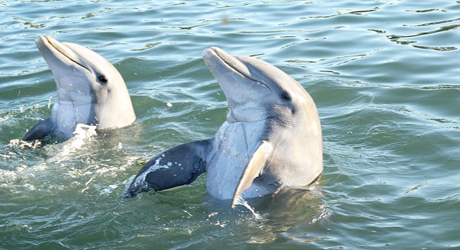 With these Cancun dolphin tours, you get to join the Cancun dolphins in their own homes. 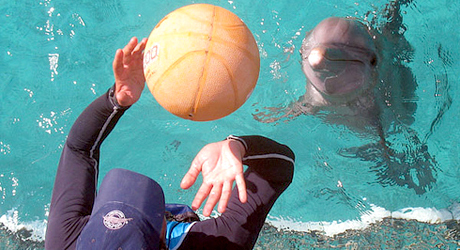 You will get to see the dolphins perform their tricks right in front of you. You will get to pet the friendly creatures and feel their slick, strong skin. 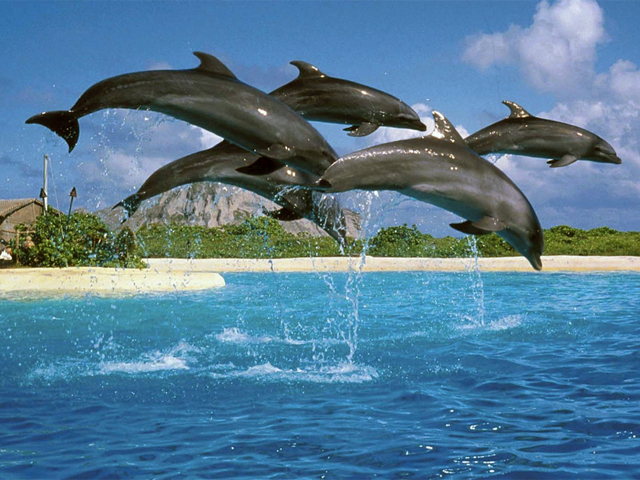 And if you want, you can even jump right in the water with the dolphins, swim alongside, and get swept away (literally!) with the famous Dorsal Tow or Foot Push. 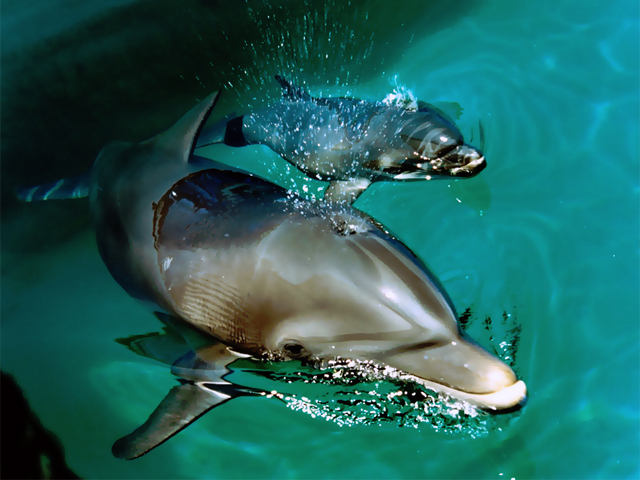 These are just some of the ways you will learn all about the Cancun dolphins from Cancun and Isla Mujeres's top-of-the-line marine and dolphin facilities. People of all ages and from all over the world wonder what it's like to be right up close to dolphins or, better yet, to know what it's like to swim in the water with them. 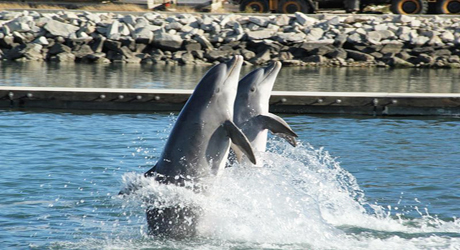 With our various levels of Dolphin Encounters and Dolphin Swims, people of all ages will get a chance to learn about these creatures first-hand. 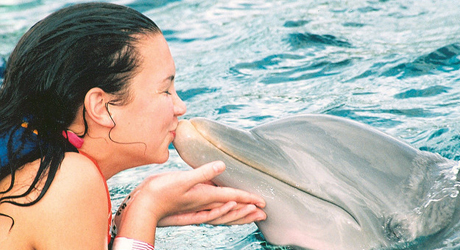 You can experience a Dolphin Encounter where you remain on a submerged platform or go for the gold by booking a Dolphin Swim Adventure where you get to become one of the dolphin's friends and jump right in the water with them. The options are plenty and the experience will be one that you will treasure for years to come! 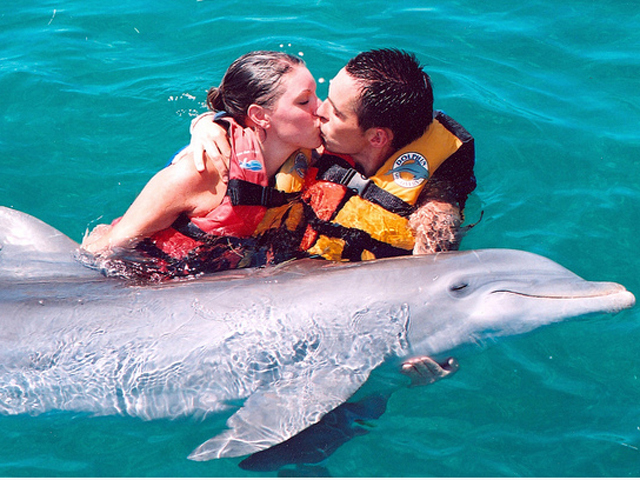 Take some time to explore the different dolphin tours and Cancun activities we have available for you. Our friendly staff is on-hand every day of the year to help you decide which adventure is best for you and to answer any questions you might have. 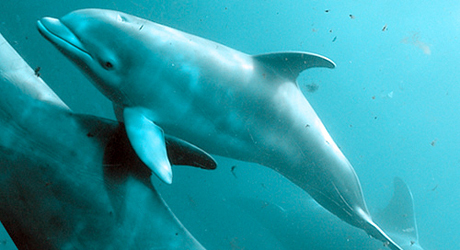 Here is a helpful guide about swimming with dolphins. 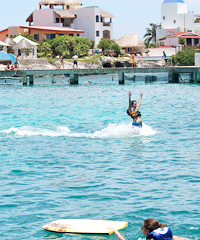 Learn some interesting facts about one of Cancun's most popular activity. Visiting for the first time? Explore this great city. 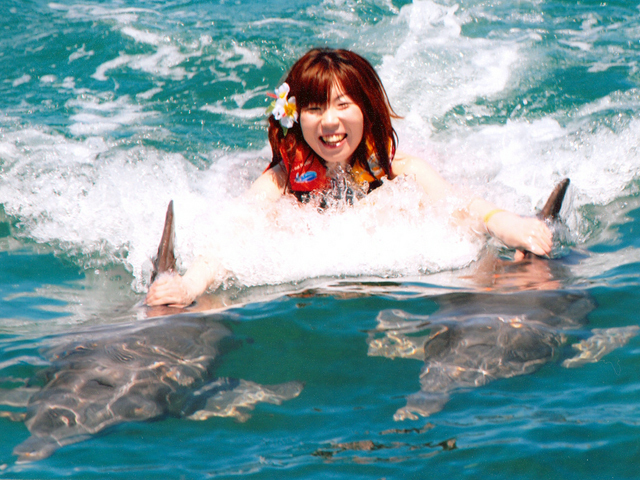 Here at Cancun Dolphins, we work with only the most dedicated and service-oriented travel agents. Our team is made up of expert Cancun agents who know how to provide you with only the best customer service. Our staff is familiar with all of our Cancun dolphin tours and will be happy to answer any questions you might have about our tours, Cancun, or the Yucatan Peninsula. Not sure which of our tours to go on? Simply call our offices and our agents will be happy to find the Cancun dolphin tour that is perfect for you and your group! The team at Cancun Dolphins is made up of enthusiastic and expert agents who are highly familiar with the travel industry and Cancun. We work with the most highly trained dolphin experts who provide our clients with a truly unforgettable dolphin experience, whether you are going on the Dolphin Encounters or the Dolphin Swims.